How Can Twofold Seem Like A Thousand? Even if Carlos Ghosn’s arrest might be the big news of the day, I feel like looking at Maserati’s plight instead. Towards the end of ANE’s article is this bit: “Former FCA CEO Sergio Marchionne’s 2014-18 business plan for Maserati envisioned full-year vehicle sales of 75,000 units in 2018.” And I notice that in 2017 Alfa Romeo sold about 86,000 cars. FCA’s new boss, Mr Mike Manley has conceded that when Maserati was bundled with Alfa Romeo it ended up being treated like a mass market brand. By that he meant its interests were placed second to Alfa Romeo and there was not enough focus on the brand. Also, I might add, trying to sell nearly as many Maseratis as Alfa Romeos does somewhat take the exclusive aura off the cars. My understanding was that Maserati was supposed to occupy a place somewhere above Alfa Romeo and somewhere below Ferrari. Data shows that in 2017 Ferrari sold around 8000 cars. That figure plus Alfa Romeo’s would indicate to me that Maserati ought be in between the two volumes, selling something like 20,000 cars and probably not much more. What do Maserati sell? They have five models ranging from the 52K Ghibli (did you know it cost that much?) to the 100K plus GranTurismo (in convertible form). It doesn’t look a lot like they will break the 50,000 unit mark. Right now they have too many models and not enough volume. Luckily “….none of them have been launched. FCA’s latest 2018-22 plan includes the two Alfieri cars, plus the addition of a midsize SUV and the electrification of the product range”. I would suggest Maserati needs three models: the Levante, the QP and a GT. It would seem that not only was Maserati expected for sell in the volumes expected of Alfa but was also subject to the same kind of vapourware announcements that have dogged Alfa since, oh, 1993? TG reported earlier this year the latest instalment of Alfa Romeo’s earnest hopes for the future: seven “new” models. Those are the Giulietta MCA, a CUV, Giulia MCA, Stelvio MCA and LWB, an E-UV (a Stelvio with Duracells, I expect), and a sport car thingy. I mention all that to put Maserati’s plans into perspective: that is quite a lot of new product for two firms who together struggle to sell 100,000 units a year. Mitigating that, “MCA” just means facelift. Hey ho. Readers will be asked to recall the time when Maserati was paired with Ferrari, which made a lot more sense. Ferrari was supposed to make 2-door cars and Maserati supposed to make mostly four-door cars. They would have been allowed one GT in the style of 3200 GT at or near Jaguar price levels. That plan dissolved at some point. I suspect that Sergio Marchionne really was not paying enough attention on the afternoon Maserati changed tracks from exclusive/luxury to “premium”. Despite this particular ‘product offensive’ actually having been conducted (rather than only announced), The Bejumpered One’s handling of Maserati must count as yet another squandered opportunity. Flawed though the products may have been in numerous ways, what unquestionably was achieved during di Montezemolo’s reign over Maserati was the reestablishing of the marque as a luxury, rather than mere ‘premium’ brand. In that context, the logical step would have been to aim for Bentley’s, rather than BMW’s customer base, with the main benefit being particularly healthy profit margin and less competition in mundane terms. In the world of luxury products, certain aspects that are crucial within the ‘premium’ realm become considerably less significant, such as the availability of certain technological gizmos and a dense dealership network. Exclusivity and the feeling that one is driving something truly special count for more in this end of the market – which are traits at which Ferrari & Maserati used to excel. Maserati never stood any chance of matching BMW, Mercedes or Audi in terms of up-to-date technology or availability of customer support, yet those were the brands Marchionne decided to go after. With products that lost most of the previous models’ flair and grace, which constituted the main reasons for existing Maserati customers having become Maserati customers in the first place. More than one of those ‘high-net income’ individuals have since decided to either keep their old Maseratis or get themselves something else entirely, rather than the ever so slightly tacky Ghibli, Quattroporte VI or Levante. A similar mistake was made by JLR management, by the way. For Jaguar is another brand whose reputation exceeds its actual market positioning, without management properly exploiting the fact. Volume isn’t always the wisest of aims (sayeth this particular armchair analyst). Ferrari split with Maserati because FCA needed cash and realised it could raise some by floating Ferrari on the stock market. There is something very appealing about a Ferrari engine in an elegant 4 seat package but I am probably betraying my age by saying that. I’m not sure today’s customer cares… an SUV with the right badge is what counts, even if it’s powered by a diesel truck engine. I don’t follow the industrial logic at all though. Giulia sits on an expensive, bespoke platform (charmingly called Giorgio) which has been adapted for use in the Stelio but nothing else. Maseratis use a separate, heavier platform. What is the sense in this? Why not lengthen the same Giorgio platform to suit? A German company wouldn’t tolerate such lack of component sharing. My guess would be that the Giorgio platform simply couldn’t be finished in time (as switching Alfa to RWD was decided only by the time of the third or fourth turnaround announcement). And as the Quattroporte was more than a decade old by the time it was eventually replaced, it was probably decided to modify the existing Chrysler RWD platform, rather than wait another three to four years. Either that, or FCA’s product management is even more haphazard than appearances would suggest. The actual sales numbers are absolutely adequate, considering that design and italian flair are the main reasons to buy an Alfa or Maserati. The problem of such small sale numbers are the costs of infotainment and assistance systems, both systems is what a modern car has to have. That is a much bigger problem than 30 or 40 years ago, when an Aston Martin has parts of an Fiesta interior or a MG SV has the front lights of an Uno – just to save money. So the plan to enlarge the sale numbers of Maserati and Alfa was the right plan. But regarding the model range of Alfa and Maserati, it is a completely illusional one. Markus – for goodness’ sake – the SV headlights were from the Punto Tipo 188 (pre-facelift)! The rumour is that they were third party pattern items bought in pairs from a local motor factor as demand required. It was a high and honourable tradition in the British low volume high-end car industry. In the sixties and seventies just about everything used Hillman Hunter tail-lights. Right: so Ferrari can support itself on about 8K units and at around 50,000 you lose exclusivity. Hmmm. I don´t think 50,000 is what you´d call common. There seems to be a grey area between money-no-object cars and “luxury premium”. Maserati is sitting blocked by Ferrari at the top and by the high-volume premium cars below them. I think the logical and now impossible answer is move Maserati back up towards the higher end, even if they can´t borrow Ferrari bits – or, why can´t they? Industry tie-ups are legion across companies that otherwise compete. I believe a crucial factor for entering the proper luxury is, plain and simple, flair. Bentley under VAG have lost some of that, but substituted it with state-of-the-art engineering/technology, which is good enough for most to make up for a lack in charm. Maserati is not in such a position, which makes it inevitable for them to make cars that are considerably more ‘charismatic’ than more advanced competing products. Having driven the current Quattroporte GTS and experienced the previous car as a passenger, I can state that the sixth generation is immensely more powerful, yet utterly lacking any kind of ‘bespoke’ flair. It truly does feel like the very powerful version of some mass market product, whereas Quattroporte V felt like a product made in a storied artisan’s workshop: Hardly sleek in some regards (ergonomics, sat-nav, certain plastics), but truly handmade and luxurious in others (mainly leather & wood quality and workmanship). On top of that, Okuyama’s Quattroporte design still is supremely elegant, whereas its successor is but a chintzy barge of a car. A Maserati always was and shall ever be a product that’s bought by the heart, rather than the mind. Aforementioned soft factors are therefore of the utmost importance. Marchionne, as always, disregarded such intangible concerns and believed that cars that look remotely similar and are considerably more up-to-date could do the trick. Who would have thought that we would have come to the end of 2018 without Sergio and Carlos G? Uncertain times on all fronts. Anyway I dredged up some numbers. Maserati 2017 ‘shipments’ were 51,500. I’d agree with Markus on that being an ‘adequate’ level to maintain the brand’s standing. Quite what Maserati should be offering is a matter for people on a higher pay grade than myself. Alfa’s 2017 figure is said to be around 115,000. There seems to be a bit of obfuscation at FCA on this matter. The trade union FIM-CSL is far firmer on the matter, claiming that 150,722 Alfa Romeos were built last year. Are 35,000 cars still lying in fields, or were some enterprising Italian Johnny Cashes smuggling out Guilias and Stelvios one piece at a time? Anyway, the DTW Gold Standard stood at 60,620 in 2017. Which means that Maserati scored 0.85 Ypsilons, and Alfa Romeo achieved Ypsilon x 1.9. Do you think anyone has noticed this odd reference point outside DTW? I think credit goes to Robertas for pointing this out in the first place. I find it quite amusing in a world short of amusement. Yes, Markus and Robertas are not wrong in judging 50,000 cars to be about right – I said about 20,000. I suppose I could accept 50,000 because you can´t get by on 20,000 cars a year unless they cost the price of a house. At 20,000 Maserati would be a one model brand. That doesn´t work. 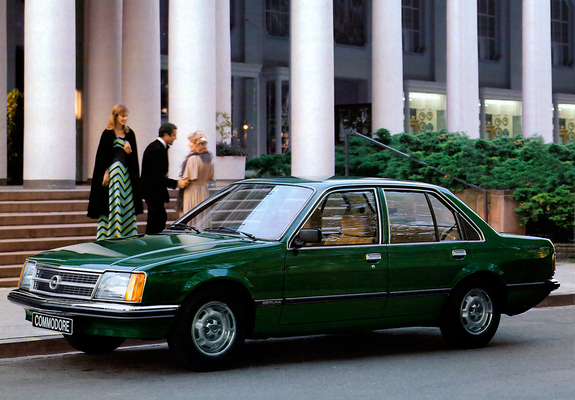 At 50,000 they should still only be three: a sport-saloon, a CUV and a GT. Did you know the Ghibli shares its front doors with the QP. 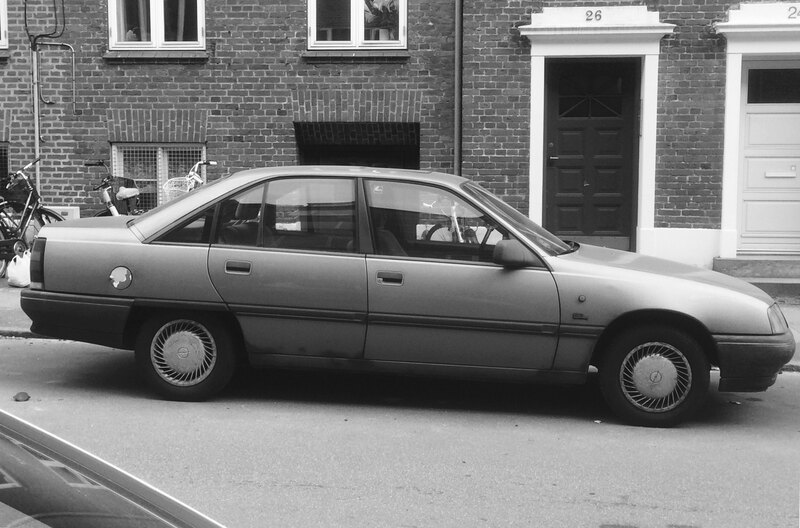 File under: “carried over doors” with the 604 and Marina two-door (plus others I can´t think of). As for volume, any more than 50,000 and you’re starting to lose any sort of exclusivity, so you become just another expensive marque. And if you just want an expensive vehicle, wouldn’t you more likely go with something with a good dealer / support network and good residuals? Now that´s what I call scholarship. May I question the extent to which the Omega “A” and Senator “B” have carried over doors. They are the same doors but most of the rest of the car is carried over. Still, yes, shared doors. At least the rear doors were carried over too. Maybe the silent rule with carried over door cars is that the rest of body behind isn´t carried over, leading to unhappy proportions. Good afternoon, Richard. Thank you, but “scholarship” is a very kind and generous description for my extreme geekishness! The Senator has a full height rear quarter light, necessitating a differently shaped window frame on the rear door to that on the Omega. One really subtle and neat detail is the wider capping at the base of the DLO on the Senator. This covers the crease at the top of the door skins. On the Omega, this crease is continued onto the front and rear wings whereas, on the Senator, the upper wings have no crease, helping to further differentiate the two side profiles. Interesting: I had not put them side by side. Incidentally, the Omega “A” you show is the one that used to park on my street. I have not seen it for a year or two now. I didn´t realise the two cars were so different. I prefer the Omega: it seems purer. I´d hate to have to choose between the two. I´d pick the Senator “B” for its extra equipment and feel the Omega was the more aesthetically complete car. The Senator front end looks too heavy and unbalanced the design. I do like that mid 70s petrochemical windfall period photography. Everything was just dandy. Except for that dreadful shade of green….. The Commodore/Viceroy’s extra 142mm length is entirely in the nose, the wheelbase is the same as the Rekord/Carlton. The better engineering solution would have been to extend the wheelbase as well. As far as I know the Germans didn’t call it a Nasenbär (Coati), their favoured epithet for a vehicle with a disproportionately long nose. I must disagree with you Adrian. It´s all part of the charm. To be honest Richard I could never come to terms with that shade of green even when it was current. I particularly associate it with a very basic Mark 2 Astra that I was lumbered with as a hire car for a couple of weeks – one of those base spec models with that huge grey one piece bumper and grille affair. Give me the blue any day! Adrian: you are only lucky that the number of barring orders we can hand out is limited to two a month. That is quite a relief to know Richard. So I can continue being rude about the green for another 8 days or so? It might be a another month, Adrian, because we have a few outstanding barring orders to get to before the Barring Order committee deals with your case and Simon A. Kearne needs to be present too. He is presently on leave: International Sherry Week was rather demanding for him this year and Lustau have launched some new half-bottle special edition olorosos which he has been sampling. I think he´s still in Jerez. On the one hand I am grateful for the stay of execution. Although I can’t possibly keep up the green criticism for a whole month there are other 1970’s shades I would value being able to criticise (a certain Chrysler Horizon shade springs to mind). On the other hand I might just head off to Jerez instead – Shamefully I was unaware of the dates of International Sherry Week but now I am aware it does hold a certain appeal…..